Trustworthy name that offers value for money! Obsession with programming is a reason of our growth and success, and helps us deliver best results. Stellen Infotech is a global web development company committed to assisting its clients to make the most of web by offering a range of web development and design services and SharePoint Development is one of our strengths that make us a reliable web development service provider. We have taken web development to a whole new level with state-of-the-art internet trends and technology. No matter what type of business you are planning to run, we aim at creating unique brand images on the internet through custom website development. We help you reach your prospects with exclusive, responsive website design. We have a highly-skilled and experienced team of developers, and designers, who ensure that our clients get only the best results and services. Our highly-skilled and experienced team go the extra mile to meet or exceed our customers’ expectation. With many years of experience and SharePoint projects under our belt, we have gained an unmatched technical and business expertise. We have been able to successfully serve more than 10,000 clients from different countries. Our huge list of clients belong to different industries including hospitality, manufacturing, construction, logistics, medical, consulting services, online commerce, retail and much more. 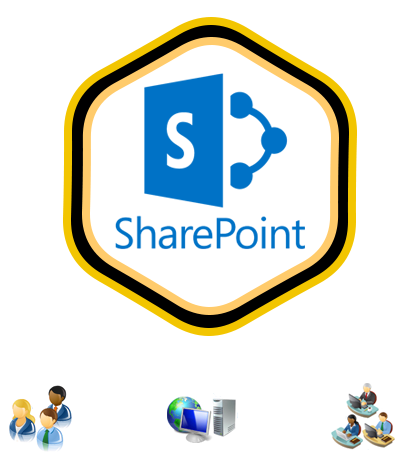 We offer custom built and bespoke SharePoint development services to assist our clients' in establishing a secure platform for their customers with better user interface. No matter what type of enterprise you are running or planning to run, our team of SharePoint developers have got you covered. All businesses are different and so are their workflow and collaboration processes. We, at Stellen Infotech, craft unique strategies depending on the businesses to ensure 100% customer satisfaction. We enable our clients to use the centralized and collaboration document management features to report server to run and other reporting services. Our team of SharePoint developers has worked on many SharePoint projects to provide tailor-made and custom website designs and development as per the clients' requirements. We smoothly extrends SharePoint and improves its extranet capabilities with our SharePoint Extranet services. We do not leave our clients' alone after successfully completing and delivering SharePoint projects. Our developers stay in touch with the clients to help them in maintaining and managing the websites. Our experienced and talented SharePoint developers have converted static and outdated websites into latest content management systems. Have a look at few of our recent projects and see for yourself why they have chosen Stellen Infotech for SharePoint development. How our transparent SharePoint development services render results-centric solutions? The website is tested again and again until we know it is ready to hand over to the client. Let your audience access your e-store anytime from anywhere, by offering mobile-friendly e-commerce sites. We ensure that your website looks presentable on every internet enabled device. We develop websites and web application that deliver excellent user experience and user interface to capture the attention of your audience. Our SharePoint development services offer an extensible functionality with the incorporation of popular and resourceful modules.